NEW FACEBOOK FANS RECEIVE A 10% DISCOUNT! Just "like" our FB page and comment on our wall to get your 10% off code! 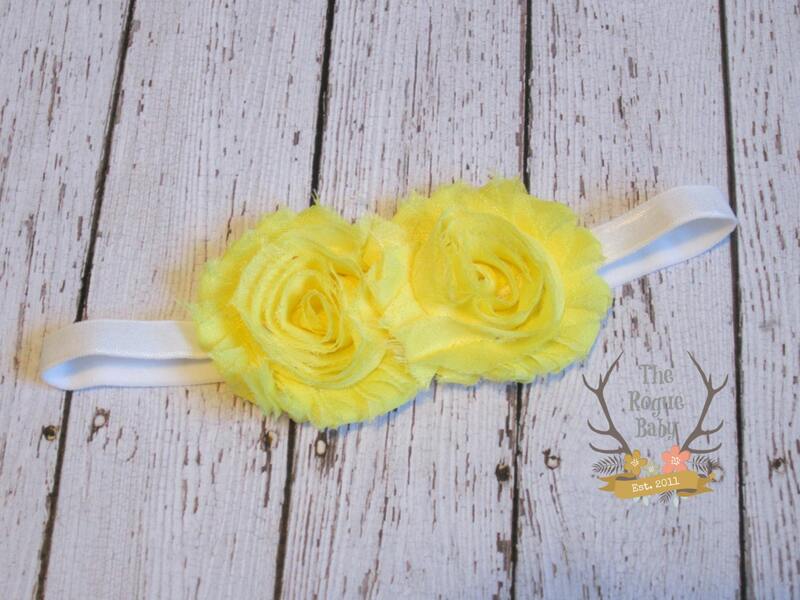 The headband is a stretchy 3/8" white elastic. There are two 2.5" (approx.) sunshine yellow shabby chiffon flowers. Please check the shipping tab for current processing times. Due to the handmade nature each item could vary slightly from what is pictured. Thank you for visiting The Rogue Baby!